It’s been pretty cold here the last few days. I’ve had my eye on the pond. It’s been getting glassy, and this morning’s 14 degrees pushed it over the edge. 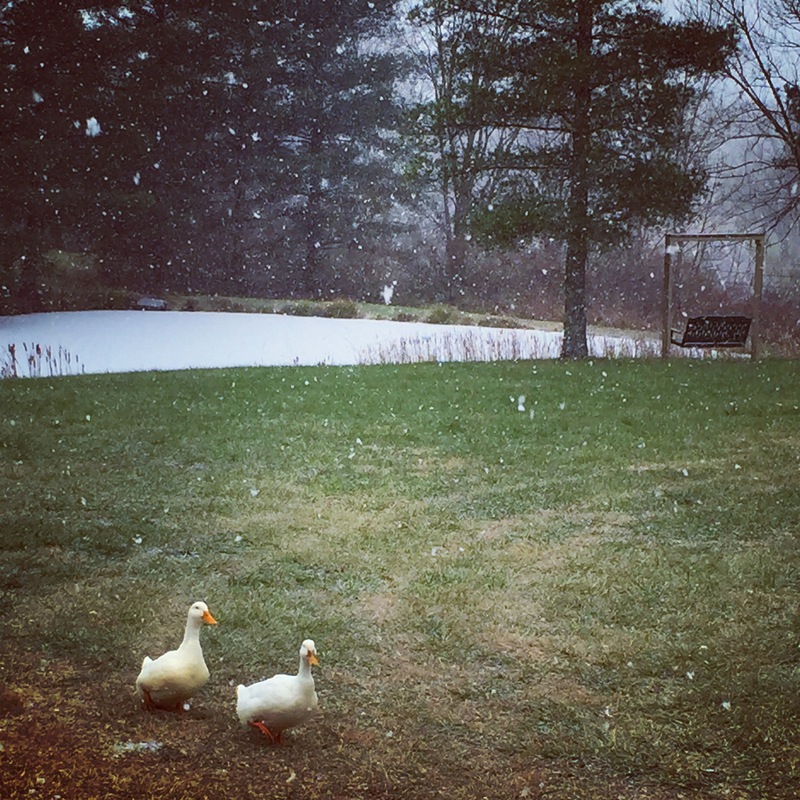 When the chicken door opened to let the birds out, the ducks made their usual mad dash for the water but found it frozen. The rest of the day was spent wandering the yard quacking loudly. It sounded like they were yelling at each other. Made me smile thinking of them!